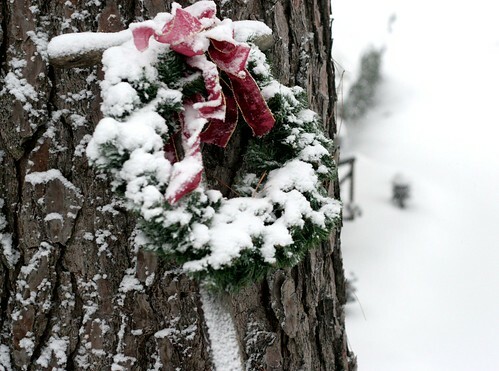 It's the day after Christmas and it's snowing like crazy. 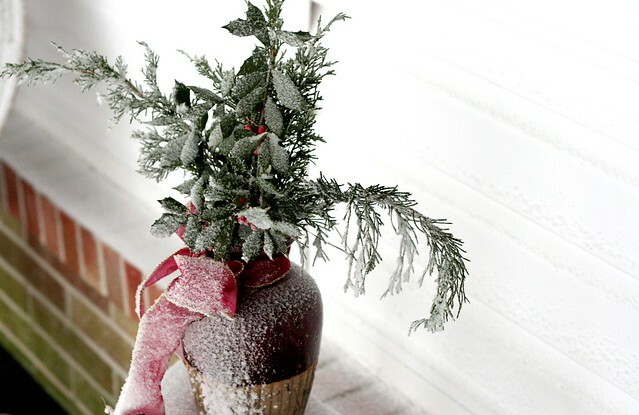 It's almost as good as a Christmas Eve snow, when you wake up on Christmas morning and the world is white. I woke up this morning and stumbled over to my window first thing, opened the curtains and smiled at the winter wonderland that I saw outside. I bundled up and went out to take pictures of course. I love snow, I think it's the most beautiful thing. It covers every flaw in this soft white powder. I love the way it looks as it's falling and I especially love when it settles in the nooks of trees and leaves outside. It's romantic too. 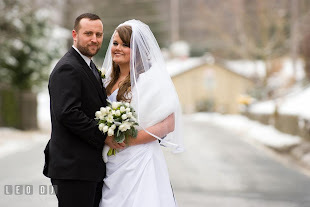 I imagine how wonderful it will be when Michael and I are married and snowed in together. 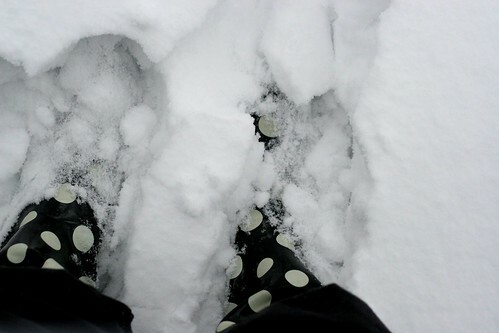 But for now, it's just me and my polka dot snow boots. 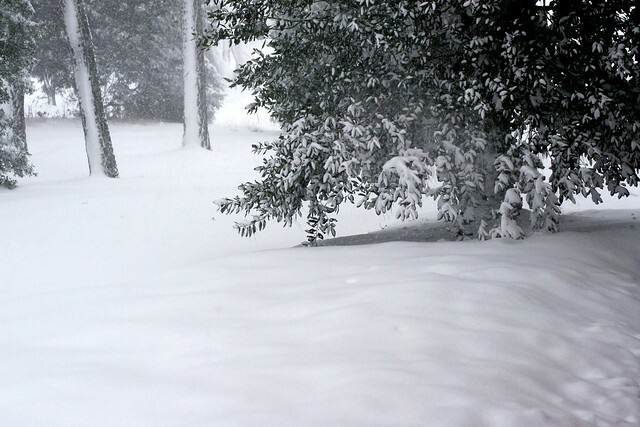 We have about 5 inches so far. It's supposed to keep snowing all night, and I'm praying for a snow day off of work tomorrow. It would be a Christmas miracle. 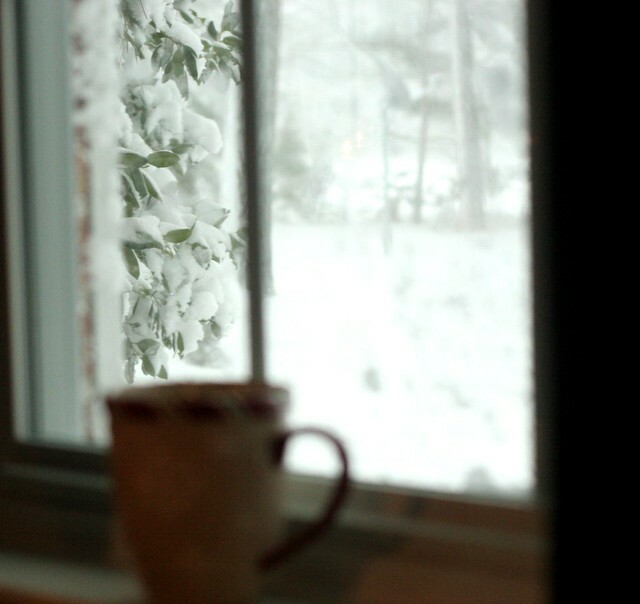 All this pretty white stuff really makes a girl crave hot chocolate. 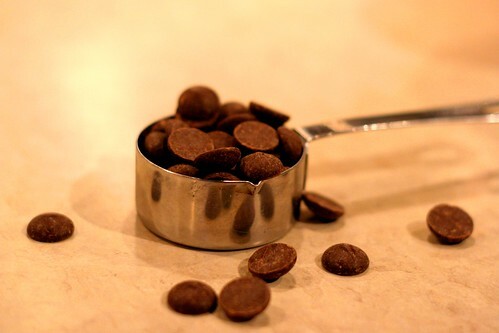 My favorite way to make it is to melt dark chocolate chips in milk, then sprinkle cinnamon and salt. 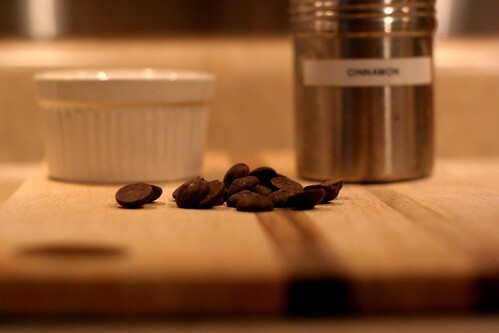 The cinnamon doesn't do much for the flavor except give the drink a warm feeling down your throat. The salt brings out the sweetness and flavor of the chocolate, just like when you're baking. Start by filling up your favorite snowflake mug with milk. It has to be a snowflake mug. Okay, it doesn't. But it should be. 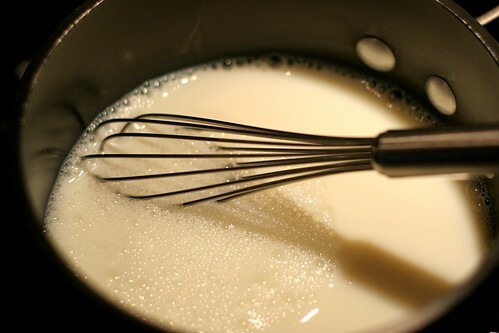 Pour the milk into a small saucepan over low heat and stir gently while it heats through. You want to be careful not to let the milk burn throughout this whole process. 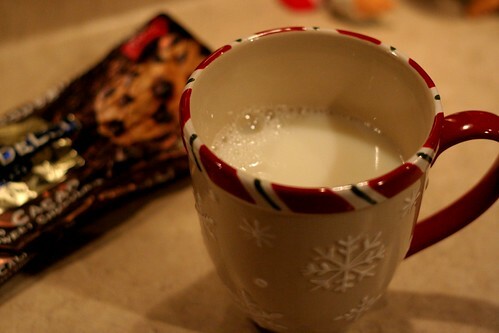 Pour your favorite kind of chocolate chips into the milk, about a quarter cup. I used 60%. Add salt, cinnamon and a little bit of sugar. Whisk it around while the chocolate melts. 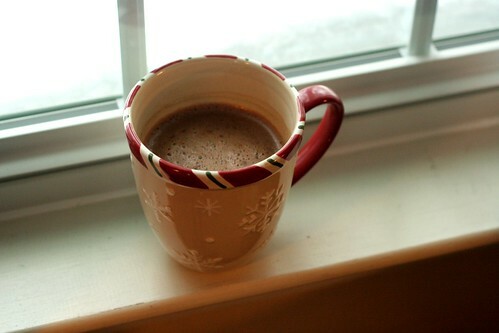 Then pour it into your snowflake mug and enjoy a warm, perfectly seasoned hot chocolate. I hope everyone is enjoying this snow! It's supposed to be all over the East Coast. I bet there was a lot of hot chocolate consumed today. If you are craving more, try this recipe! 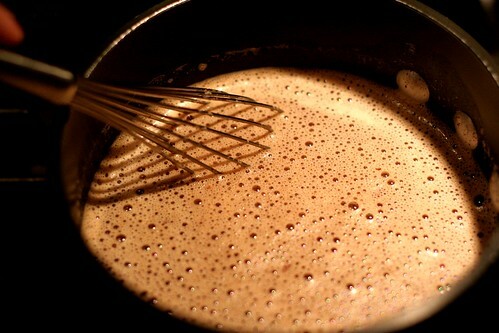 Warm the milk in a small saucepan over low heat, about 4 minutes. Add chocolate chips and whisk until melted. Add cinnamon, salt and sugar and combine. Whisk for another 3 minutes or so, until the drink is warm through and chocolate is melted. Pour into mug. I definitely did NOT drink enough hot chocolate yesterday even in the midst of snowing myself into my apartment. That needs to change. Today. I want a redo. This sounds wonderful! Love the cinnamon and salt!